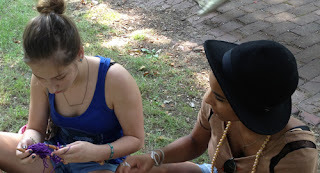 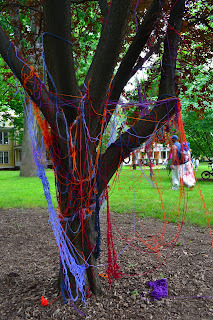 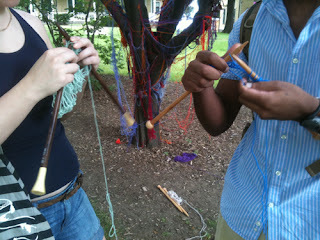 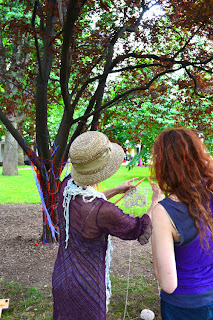 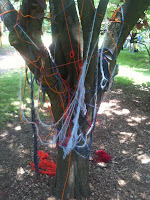 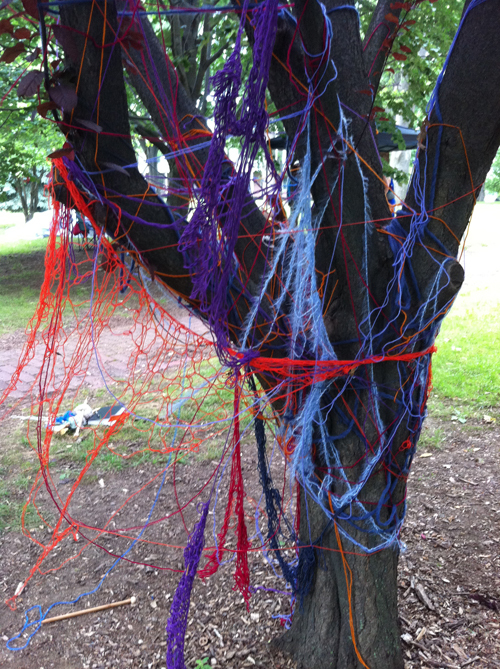 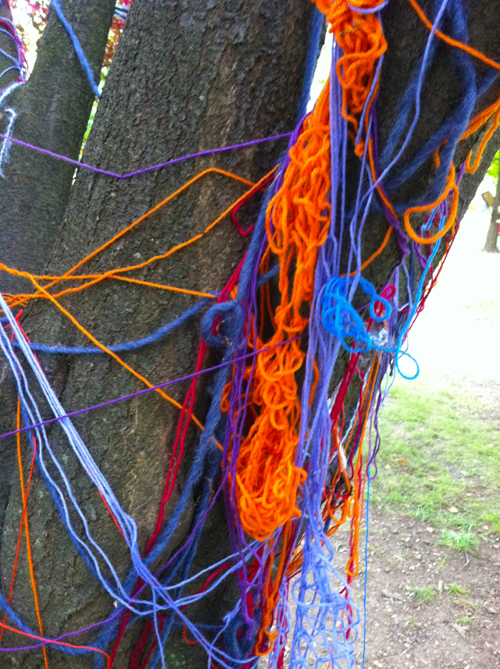 that took place as part of the Figment Art Event on Governors Island. 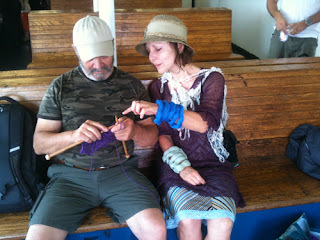 I offered visitors some basic knitting lessons… Together we knitted and exchanged stories. 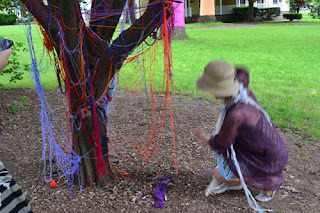 At various moments throughout the days I performed shorts monologues, stories by themselves yet part of a complete tale...within each of the monologues I inserted elements of stories told to me by previous participants while unraveling the knitted elements, winding them up the trees in a pattern such as climbing vines of morning glory does, twirling around the branches, hanging down, in a web like structure.